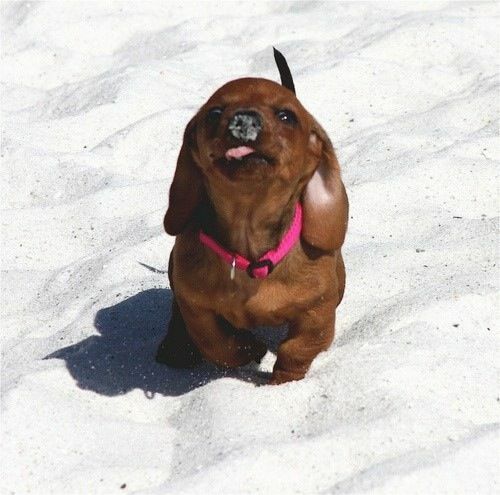 Dachshunds go by many names; doxies, sausage dogs, wieners but whatever you want to call them these mischievous little pups have just as many ways to steal our hearts! 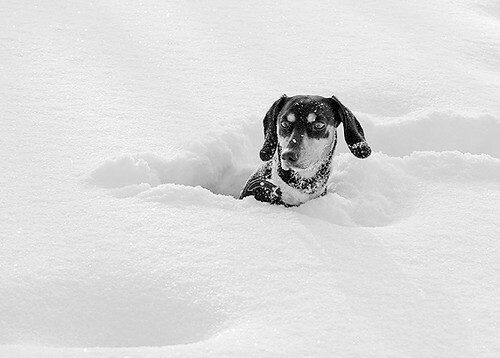 Today we have another dose of cuteness from our mini little friends and it involves snow… Lots and lots of snow. 4. 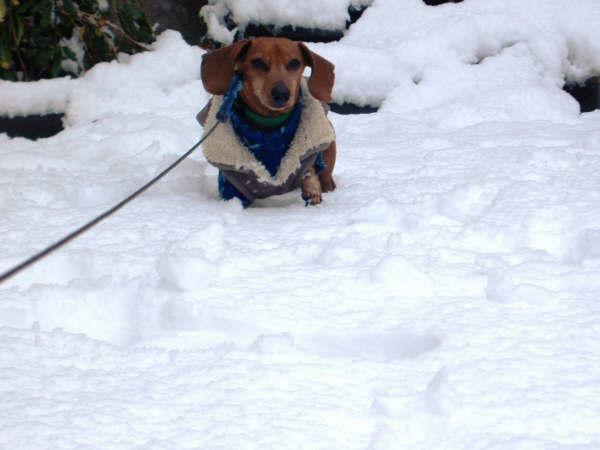 This little sausage is actually dashing through the snow. 6. 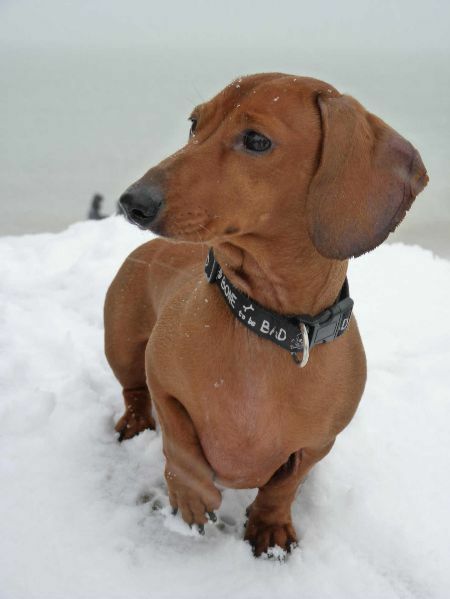 Check out these ever-so-stylish snow twins. 12. 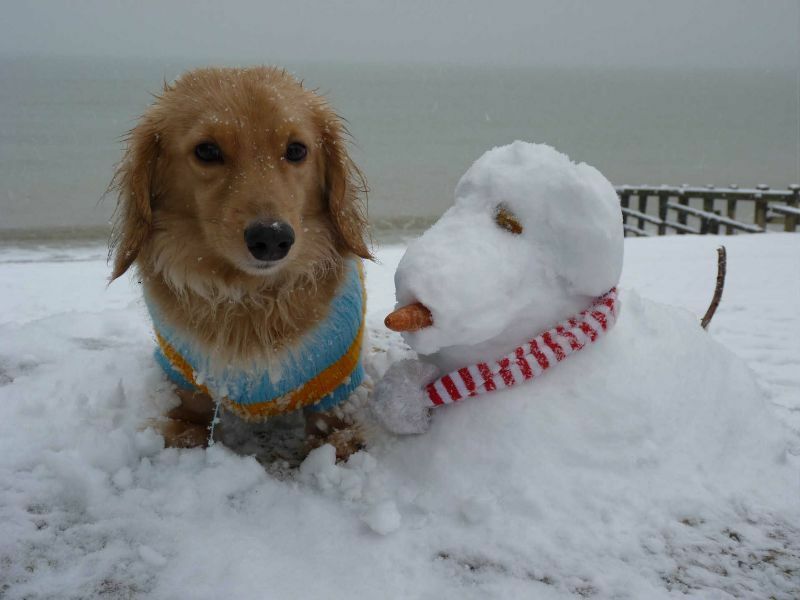 This little guy is looking almost as chilly as his snowy friend – hot water bottle, please! 16. It looks as if dashing is completely out of the question here!